(04-14-2019) This week on DragonKing Dark, host Karl Stern takes us to Alaska to take a look at the weird, odd, and unusual stops in the northern most of the United States. From Santa Claus literally home to the Wizard Oz, Alaska has some odd and unusual places you might not think to visit nestled among the incredible natural scenery the state is so famous for. So next time you're whale or iceberg watching in the great white north don't forget about Earthquake park too. Our Patreons get an ad free version of the show with bonus content. (04-07-2019) Host Karl Stern is back this week with a new DragonKing Dark Podcast beginning a new occasional series looking at odd, weird, and interesting places across the world. We begin in his home state of Alabama with such curiosities as the original Mardi Gras (it wasn't in New Orleans), plus the ghostly face in the court house window (which you can still see), and many more. It's a statewide tour of strange facts and places! 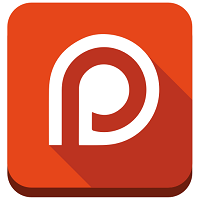 Patreon supporters get an ad free edition of the show with bonus content. (03-31-2019) There is a major crisis happening all around us and most people are completely oblivious to it. Should this crisis come to fruition the food chain will collapse. Over half of the foods stocked in your local grocery store will disappear. Your fruits will be gone. Your vegetables will be gone. Cattle will die so your beef will be gone. And it's happening right now. It's observable, testable, and provable. The bees are dying and they are a hugely important step in the food chain. On this edition of DragonKing Dark, host Karl shows you some peer reviewed research to illustrate the situation and in the second half of the show is joined by Tonya from WhenItWasCool.com to discuss what you can do to save the bees. (03-24-2019) On this edition of DragonKing Dark Podcast we are taking a look at two famous hoaxes of science. First we journey back to the 1700s were a respected professor is convinced that he had found fossils made by the hand of God himself only to find out that the joke was on him. Then we discuss a modern day conspiracy tale involving the CERN particle collider. It's another science packed episode of DragonKing Dark. The Patreon extra is massive this week looking at some recent controversies involving free speech. (03-17-2019) Genetic editing is all over the news lately and many laymen are wondering what exactly is CRISPR? Is it some biblical monstrosity where man is now playing God? Is it a way to create supermen and women? Or is it the answer to all genetic problems and the future to the health and wellbeing of mankind? On this episode of DragonKing Dark, host Karl Stern digs into some research about what exactly is gene editing and CRISPR and is it a tool to be feared or one of the greatest advancements in science of the modern era? Patreons get an ad free extended edition of the show. (03-10-2019) On this weeks edition of DragonKing Dark, host Karl Stern discusses the reality of alien life. Not science fiction, not speculation, but the solid facts about what we have and have not discovered so far in our search for extraterrestrial life. Like seeking clues to a mystery, we might not have solved the crime but we have found some footprints. We have identified some possible crime scenes. We have eliminated suspects. This week let's look at what we really know about life beyond Earth. Patreons get an ad free edition of the show with bonus content. (03-03-2019) On this week's edition of DragonKing Dark Podcast we take on one of host Karl Stern's favorite topics- time! Specifically on this episode we discuss whether time travel is scientifically possible and look at several papers on the subject that come to varying conclusions. The possibilities are interesting and some theories are not necessarily what you might think. Let's aim for the nearest singularity this week and see what happens on the DragonKing Dark Podcast! (02-24-2019) On this special edition of the DragonKing Dark Podcast, host Karl Stern tells some truths which must be told. At long last, the most dangerous weapon is exposed. If you have ever wondered why things are the way they are. If you have ever wondered how people are being manipulated to believe and passionately defend the most outlandish of ideas. If you have ever wondered what's causing all this - then you must listen to this very special edition of the DragonKing Dark Podcast - The Most Dangerous Episode Ever. You have been warned. Knowledge is power. You can read the entire transcript to this episode of DragonKing Dark Podcast - Here. (02-17-2019) On this edition of DragonKing Dark Podcast, host Karl Stern discusses beliefs that are against the mainstream and discusses what the logical approach to them is, why they exist to begin with, and searches for the truth behind what is seemingly anti-logical beliefs such as the Earth is flat, anti-vaccinators, and other extreme conspiracy beliefs. Patreons get an ad free extended edition of the show. (02-10-2019) On this episode of DragonKing Dark, host Karl Stern takes a look at one of the leading hypothesis about how Earth's larger than average moon was formed. Does the formation of Earth's moon also offer an explanation of how all the essential ingredients for life arrived here when the rest of our solar system appears barren? Or is the first origins of life still a mystery? World's will literally collide on this episode of DragonKing Dark Podcast. Patreons have a special treat. I originally recorded an entirely different episode 152 but decided to change it. I have included that one for you as well, plus we talk about demons. Yep. (02-03-2019) It came from outer space. Like literally, outer outer space. Oumuamua made the news last year as the first observed body from interstellar space which had been seen in our solar system. And then it got weird. It was like nothing we ever saw before. It was neither astroid nor comet. It also seemed to accelerate as it left our solar system. Now a Harvard Professor, no less, believes it was of artificial origin. In this episode of DragonKing Dark Podcast, host Karl Stern takes a look at just what was Oumuamua and where did it go? Patreons get an ad free bonus edition of the show. (01-27-2019) On this milestone edition of DragonKing Dark, host Karl Stern concludes his "curses" series with a look at one of the most famous - the curse of King Tut and the Pharaohs curse. In the early 1900s Egyptian archaeology was in it's golden era and the unearthing of an intact, treasure filled, tomb of a Pharaoh was the talk of the world. Movies and pop culture media were based on it. The discoverers were superstars, and... most of them may have died shortly thereafter. Or so we were told. (01-20-2019) We continue our series of podcasts looking at various curses and this episode, host Karl Stern, takes a look at a supposed cursed painting called The Hands Resist Him. Now, mind you, this painting is creepy enough of it's own accord, but supposedly those who have owned the painting have met with misfortune. The painting is now kept in a museum... but not on display. Patreons get an ad free version with added content. (01-13-2019) On this episode of the DragonKing Dark Podcast we continue our look at various curses and tales of ill fate. This weeks tale is one of the more well known one because it has a television reality show attached to it. The Oak Island Money Pit is located in Canada and for over the last hundred years people have been trying to claim a supposed treasure buried in a booby trapped pit. This one actually has a little evidence to support it... a little. (01-06-2019) Welcome to 2019 on DragonKing Dark. This year host Karl Stern is going to examine some tall tales, curses, and popular culture you might have heard of but might not believe. Whether true or not, they are interesting. This week, we look at the tale of James Dean's Cursed Car. James Dean was an icon of Hollywood who was killed in a car wreck as his fame exploded. But, as the story goes, James Dean was only the first of several to be killed by this car. How could a totaled Porsche Spider kill again and again? Find out on this weeks DragonKing Dark. Patreons get an ad free version of the show with about a half hour bonus content. (12-30-2018) It's episode 146 of the DragonKing Dark Podcast and this is the last episode of 2018. In this episode, host Karl Stern from When It Was Cool takes a look back at some odd and weird news stories from 2018 that we might have missed on a variety of topics including UFOs, true crime, and much more. (12-23-2018) This week around the world, whether secular or religious, many in the world will celebrate Christmas. What are the real origins of Christmas? Is December 25th really Jesus birthday? Is Christmas a re-appropriated pagan holiday? Is it a modern creation? What about Santa Claus? Kris Kringle? St. Nicholas? Why the Christmas tree? This week on DragonKing Dark we will examine the origins of the Christmas symbols and when, where, and how Christmas became what it is today. (12-16-2018) More discussion this week about the hot topic of artificial intelligence and the problems we may, or may not, be facing in the future from machines that can think for themselves. In other recent news we take a look at more recent UFO sightings, and reports that a portal to another dimension opened up in Australia recently. It's an amazing mix of stories on this weeks DragonKing Dark. Patreon supporters can stick around for an ad free extended edition where we answer recent questions, comments, and posts on a variety of topics. (12-09-2018) On this edition of the DragonKing Dark Podcast host Karl Stern takes a look at stories in the news including a story about how young people today are turning off the news in large numbers because they don't trust it. Plus, the Mars rover has found a shiny rock that has everyone talking, and what happens when artificial intelligence has a hiccup? One article warns of dire consequences. (12-02-2018) Ghosts, the paranormal, UFOs, religious experience- is it all just in our heads? Everything we experience and perceive is literally just our brains interpretation of input from our senses. People with certain mental disorders and illnesses like dementia seemingly experience real events in the their minds that aren't actually happening in the real world so is this evidence that supernatural experiences are all just inside our own minds or are our minds amazing receivers to a realm beyond our own? DragonKing Dark Podcast - Episode 141 - Is Tech Bad For Us? (11-25-2018) Is technology bad for us? In so many ways technology has helped mankind and advanced us to live longer and healthier lives. But it has come with a cost. While the tech has opened up the world and given us instant access to information we previously had to manually search out there are more and more studies that have uncovered the chilling ways it is impacting our lives. Does tech really make our lives easier or has it added complexity and stress and given the worst among us a new tool to exploit, harass, and prey. Join Karl Stern on this episode of DragonKing Dark to discuss. DragonKing Dark Podcast - Episode 140 - Are You Being Controlled II? (11-18-2018) Two weeks ago we had another very well received episode of the DragonKing Dark Podcast called Are You Being Controlled. Following the feedback to that episode I have recorded a part two to the conversation. No matter what name you give to "them" there does seem to be a powerful elite controlling the course of our lives. Perhaps it's no more than politicians and the ultra-rich setting the agenda and influencing mass areas of policy and news but whatever the name, whatever the machination, it seems we are pawns in a larger game. Patreons get an ad free version with additional content. (11-11-2018) This week on DragonKing Dark we take another look at what the Bible has to say about topics of the paranormal. Many of the supernatural elements in paranormal belief are not only in the Bible but originate there. Obviously, things like angels, demons, and miracles, but the very idea of the occult has it's origins in the Bible. How about other things like UFOs? Ghosts? Magic? On this edition of DragonKing Dark we search for these elements in the Bible. There is additional content for Patreons after the main show. DragonKing Dark Podcast - Episode 138 - Are You Being Controlled? (10-07-2018) On this edition of the DragonKing Dark Podcast, host Karl Stern begins prepping us for Halloween with a look at the mythos surrounding the Lord of the Vampires- Dracula. He discusses the gothic horror novel, what influenced the novel, the Universal horror movie classic, and Dracula in popular culture since then. Also he examines just how much Vlad Tepes actually truly influenced the classic Dracula character. (09-30-2018) On this episode of the DragonKing Dark Podcast, host Karl Stern from WhenItWasCool.com explores the mythos surrounding the Bermuda Triangle. You used to hear about the Bermuda Triangle (or Devil's Triangle) a lot back in the 1970s when Karl was a kid, but not so much any more. There have been a number of incidents that have lead to the lore surrounding the Bermuda Triangle but none more so than the disappearance of a group of Navy fighters that disappeared there during the 1940s and... oh yeah, one of the rescue planes searching for them disappeared also. (09-23-2018) On this edition of the DragonKing Dark Podcast, host Karl Stern talks about magic. Not the stage show kind, or what Penn and Teller or doing but the belief that by spells or incantation, people can effect the future or events in their lives. It's easy to understand why humans, before the age of science, might have believed in magic but the big question is- why would anyone today believe in magic? Is there any evidence that real magic exists? What exactly is magic? When It Was Cool invites you on this spellbinding exploration of magic. (09-16-2018) On this episode of the DragonKing Dark Podcast, host Karl Stern tells us two tales of odd and unusual tombstone inscriptions. The first, located in Salt Lake City, UT ascribes the death of a local elderly lady to The Beast - 666. We explore why The Beast from John's Revelation in the Bible may, or may not, have claimed this poor woman and why it is inscribed on her headstone. The second story tells of a tombstone in New England that describes the deceased souls method of death - pressing. Tales of the macabre from DragonKing Dark. (09-09-2018) On this edition of DragonKing Dark, host Karl Stern talks about the draw and allure of old buildings. There is sometime haunting about about buildings that outlive multiple generations of people. We take a look old homes, mansions, cathedrals, castles, and more. Karl discusses his trip to the National Cathedral last year and seeing all the famous people buried in the basement. All over the world there are buildings that out live you and me and we discuss the ghosts, both real and imagined, that haunt them. (09-02-2018) There is a series on Netflix called Dark Tourism where a host takes you to various taboo hotspots around the world where a tourism industry has sprung up. On this week's DragonKing Dark podcast, host Karl Stern talks about the allure of seeing places of tragedy, disaster, and the macabre. Why are we drawn to such places? Why do people want to see the spot where someone was murdered, or where life changing accidents occurred? DragonKing Dark explores the dark side of our curiosity. (08-26-2018) On this edition of DragonKing Dark, host Karl Stern takes a look at Mexican lucha libre legend El Santo... wait what? Why are we talking pro wrestling on DragonKing Dark? Because El Santo transcended pro wrestling into movies where he fought vampires, werewolves, mummies, witches, monsters, and more! El Santo starred in dozens of B-level action adventure movies and even spawned a whole sub-genre of horror and action movies. Also, he has a statue in his honor, people still revere his name, and he was buried in his mask and if that's not DragonKing Dark then nothing is. (08-19-2018) On this week's DragonKing Dark Podcast, host Karl Stern takes a look at giants. Since the dawn of time there have been legends, myths, and eyewitness reports of giants on Earth. But where are the remains? Make no mistake there have actually been some giant skeletons uncovered but the reality doesn't match the mythology. This week we will talk about giants, Nephilim, and more. (08-12-2018) On this edition of DragonKing Dark, host Karl Stern talks about why it is virtually impossible to predict the future. Chaos takes the future in unforeseen directions. Trends we think will lead to future tech often fizzle out or go in previously unconsidered directions. We take a look at predictions made in the past by leading magazines and see how completely wrong they guessed the future to look like but try to understand why they believed the way they did and what we today think the future may look like and why we are probably wrong. (08-05-2018) This is episode 125 of DragonKing Dark Podcast and host Karl Stern takes a look back to April 4, 1974. He was just a young kid but there are faint memories etched in his mind of a night that killed many, forever changed the landscape of his state, killed family members, and altered the way everyone around him lived their lives. A massive F5 tornado (and the longest on ground tornado ever recorded up to that point) leveled towns and passed within a mile of where he was, killing a family member and, as you'll hear from NOAA, left nothing standing. (07-29-2018) Did you know that The Bible actually talks about ghosts? No really, it's not something you were probably taught in Sunday school and I don't mean it in the sense of the resurrected dead either. I mean there are literally multiple scenes in The Bible where ghosts were contacted by mediums. One story in the Old Testament relates how a prophet was summoned from the dead to give advice to the King including how and where it happened. Today on DragonKing Dark we discuss ghosts in The Bible. (07-22-2018) On this episode of DragonKing Dark, host Karl Stern revisits the Satanic Panic series to answer listener questions about the time in the 1970s and 1980s when everybody was afraid the devil was out to get you. Satan was in the music, in the television, in toys, and in vans waiting to kidnap you. Television fear mongers preyed on the hysteria and many moms and dad threw out their kids records and took away their toys... all for seeming nothing. On this weeks DragonKing Dark we take a look back at this early example of fake media created panic with the Devil is in the Details. (07-15-2018) It's one of the most famous advanced artifacts in popular culture. It's past and even it's discovery is shrouded in mystery. Found sometime in the early 1900s a battery like device appeared in a museum in Iraq. It has been replicated and tested to actually function as a battery but, as we will see this week on DragonKing Dark, what it is and why it exists is still clouded in mystery. Today host Karl Stern from WhenItWasCool.com takes on the Baghdad battery. (07-08-2018) This week on DragonKing Dark Podcast, host Karl Stern talks about your moral compass. Where does it come from? What directs your ethics in life? Is religion necessary to developing one? Why do some people seem to lack one? As part of our intermittent continuing series on the degradation of society, Karl examines why we ethically and morally act the way we do and why dissimilar people can each be acting out of good conscience and still come into conflict. (07-01-2018) On this episode of DragonKing Dark, host Karl Stern continues his look at the social issues plaguing the world, in particular the United States, and this episode looks at lies. The lies we are being told by the media both right and left. The lies we are being told by politicians of both sides. The lies we are learning on social media from fake people and propaganda. And the lies we are telling each other and believing because we don't know any better. We now live in an era constructed and predicated on falsehoods and we, the common sense people, have no idea what to believe. On this episode of DragonKing Dark we discuss the lies. (06-17-2018) A favorite topic of the DragonKing Dark Podcast and host Karl Stern is fear. What are we afraid of and why? We have done shows about this in the past but it seem relevant again with all the social unrest and division in the world and it is our contention that much of it is driven on fear, in particular, keeping you and me afraid. This week on DragonKing Dark we talk about the fear that is driving society and how not to fall prey to it. (06-10-2018) On this edition of DragonKing Dark, host Karl Stern takes a look at one of the most bizarre landmarks in America- the Winchester Mystery House. Owned originally by the Winchester firearms family and left to the widow of Mr. Winchester following his death, the story goes that Ms. Winchester was haunted mentally by the ghosts of those killed by Winchester rifles and began adding rooms onto the house to pacify their spirits. It is rumored the house continued to build onto itself even after her death. What is the truth? (05-27-2018) On this edition of the DragonKing Dark Podcast from WhenItWasCool.com host Karl Stern takes a look at the Grand Illusion. What is that? It was a song by Styx in the 1970s but it is so very relevant today. The media, especially social media, has created a very fake, very false narrative that we have all bought into. You will be surprised just how indoctrinated we are into this false narrative. We have been brainwashed and it is time we broke this spell we are under. Take a trip inside your mind and discover truth on DragonKing Dark. (05-20-2018) There is a book on the subject and Johnny Cash even sang about it but what is the real truth behind the White Witch of Rose Hall Jamaica? As it turns out there is some true and a lot of fiction behind the supposed Witch of Rose Hall which is a popular tourist destination on the Caribbean island of Jamaica. Perhaps you've been there yourself and wondered? Maybe one day you'll take a cruise and wonder about it? Today, host Karl Stern, takes a look at the woman, the myth, and the legend. (05-13-2018) There is a real problem rising that society, the news, nor the courts are fully ready for. Evidence manipulation. In an age where even an novice with a computer to Photoshop pictures, produce near professional quality video and special effects, and then drop them into the sea of social media what are we to trust? Once a photo was taken as proof positive in a court of law. Now, most photos you see are ran through filters, manipulated, or fabricated. In a fake digital world how can we trust anything? (05-06-2018) On this show we revisit our most popular episode The Problem is You with a look at society, changing moral codes, and the ever so slippy slope of entitlement. We also talk about the Lone Ranger. Yes, the Lone Ranger. And he is relevant to our discussion on moral codes and ethics and why things aren't always as simple as they seem and sometimes they are. (04-29-2018) On this edition of the DragonKing Dark Podcast from When It Was Cool, host Karl Stern talks about two recent articles in the news. The first asks the very interesting question about the age of mankind and what if there was an advanced civilization here millions of years ago? Recently the scientific community has looked at this question from a different angle. Then, recently making the news is a monster roaming the streets in Argentina... or so the news said. Find out what really happened this week on DragonKing Dark. (04-22-2018) After the landmark and record setting past three episodes of the DragonKing Dark Podcast, as you might imagine, host Karl Stern has gotten a ton of feedback. This episode we work through some of the email responses to the past three shows which, in themselves, raise some interesting new questions and perspectives. We continue our look at the entropy of society but this time the listeners have the floor. (04-15-2018) Life is weird sometimes... obviously. You are listening to a show on the Dark Matter Radio network so, of course, you know this. Following on the heels of two of our most popular shows ever we slow down this episode for a cautionary tale. A story about a man so dedicated to his job that he wasted a huge chunk of his life. Warning, this show also contains a Yeti. Yep. DragonKing Dark Podcast - Episode 104 - Satan in Pop Culture Continues & Aleister Crowley Speaks! DragonKing Dark Podcast - Episode 102 - Where are the E.T.'s? (02-18-2018) This edition of DragonKing Dark is something else. The first half of the show is fine. Host Karl Stern reads some listener emails and has a serious discussion about the line between life and death with listener feedback. Then the second half of the show we do news of the weird and odd and that is when Karl breaks with the ridiculous quality of the news and then intentionally drives the show straight into the ground. You will laugh, you will cry, and you might even cry laughing. DragonKing Dark Podcast - Episode 100 - What Have We Learned? Super Sized! (02-11-2018) It's the epic 100th episode of DragonKing Dark! On this episode host Karl Stern (dragonkingkarl) looks back at the 100 episodes so far and addresses the question- Has my mind changed about any of this? Does he now believe in Bigfoot? Are UFOs a real thing? Does he believe in ghosts now? Is he more or less convinced of the age of civilization? Somethings have changed and some remain the same... kind of like life. Jump on-board the grand anniversary celebration of DragonKing Dark episode 100! (02-04-2018) Yep. They did it. The Chinese have now cloned our closest animal cousin and the whole world has flipped out thinking that we are next... we probably are. In recent news a group of Chinese scientists have successfully cloned twin monkeys and on this edition of DragonKing Dark, host Karl Stern will discuss the fact, fiction, hype, and myth about the modern day mad science of cloning things and takes a look at the question on everyone's mind- are we next? (01-28-2018) Host Karl Stern is back for this week's episode of the DragonKing Dark Podcast once again talking news and notes from recent weeks. Karl continue to follow the story and fall out of the revelation of the Government's former UFO program with new commentary by scientists and why they, admittedly, don't care. Then a news website claims that U.S. President Donald Trump has now been made aware of the mystery rouge planet Nibiru and some are afraid of him possessing this knowledge. Finally, there is NEW Bigfoot footage. This time from Canada where someone has filmed an alleged Bigfoot near a stream in the woodline. We will discuss this footage and more on this week's DragonKing Dark Podcast! (01-21-2018) On this episode of the DragonKing Dark Podcast, host Karl Stern takes a look at weird and odd stories in the news. This week we again seek out UFO sightings in the news, there is now evidence that a disease killed off the Aztecs, and if you enjoyed our episode on Russian experimentation on zombie dogs then you will be glad to hear that Russia is messing around with dogs again. It's another bizarre news edition of the DragonKing Dark Podcast from When It Was Cool! (01-14-2018) On this episode of DragonKing Dark Podcast, host Karl Stern takes the show back to it's origins with what's in the news? This week we have two UFO stories including a video from Mexico of a vertical UFO. We discuss the recent video of the ghost of a hanged man in the UK and, finally, what states had the most Bigfoot sightings last year? It's an "In the News" edition of DragonKing Dark. DragonKing Dark Podcast - Episode 95 - Mailbag Q & A! (01-07-2018) On the first DragonKing Dark Podcast of 2018 host Karl Stern cleans out the mailbag which features a variety of topic requests for the new year and several questions and even accusations! We talk UFO's, Karl is accused of being a conspiracy theorist, how Skeptics have hijacked that name, and the one supernatural or unexplained event that has happened to Karl. (12-31-2017) It's the last day of the year! 2017 is gone and in the words of Yoda, "not short enough was it." 2017 will be long remembered as the year no one could get along with each other, every politician was evil, the world was on the brink of World War, and you hate me and I hate you... or so we were told. But what is the reality of it? And more importantly what is ahead for 2018? Karl loses his mind on social media, television news, politics, and poor Aunt Sally on Facebook gets a piece of his mind. 2017 goes out with a bang on DragonKing Dark part of the When It Was Cool Podcast Network. Full Archive of back episodes is in the DIGITAL DOWNLOADS zone.